Two weeks ago my boyfriend, Sam, and I did something we weren’t sure we’d ever do again. We took an all-inclusive holiday. This probably doesn’t seem like a big deal for most couples but we’d put ourselves in the ‘not-all-inclusive-people’ category and we weren’t planning on leaving any time soon. We usually book our travels independently and spend 4 or 5 nights in one place before moving on. But you know what, sometimes this just gets exhausting. There, I’ve admitted it; sometimes travelling is tiring and stressful and you just don’t want to spend hours on coaches and trains. Sometimes you just want to relax in the sunshine and chill out. Imagine that, an entire holiday dedicated to relaxing. A whole week spent sunbathing and swimming, reading and napping, lazy lunches on the beach and endless bowls of ice cream by the pool. Sounds pretty nice, doesn’t it? So for the first time in over 10 years we had a real, relaxing holiday and we loved every second of it. Maybe we’re getting old. Maybe we’re getting boring but I don’t care, it was fabulous! We took a 7-day all-inclusive holiday to Egypt courtesy of Thomas Cook. 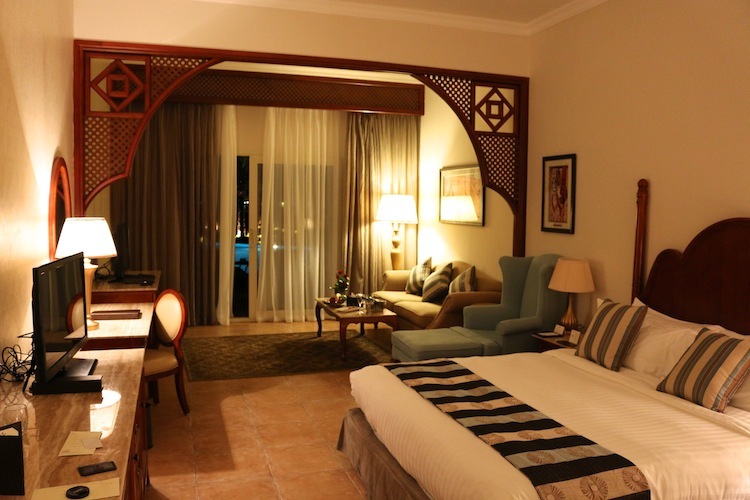 We stayed at Baron Palace Resort in Hurghada, a 6* hotel that opened earlier this summer. We stayed in a suite, so not only was our room huge and luxurious but we also had a swim-up pool! Our veranda led straight into a pool shared by the surrounding suites but it was always empty to it felt like our own private pool. Bliss. In tomorrow’s post I’ll be writing about our trip to Myanmar island (otherwise known as paradise), scuba diving and snorkelling days and a trip to Luxor and the Valley of the Kings! 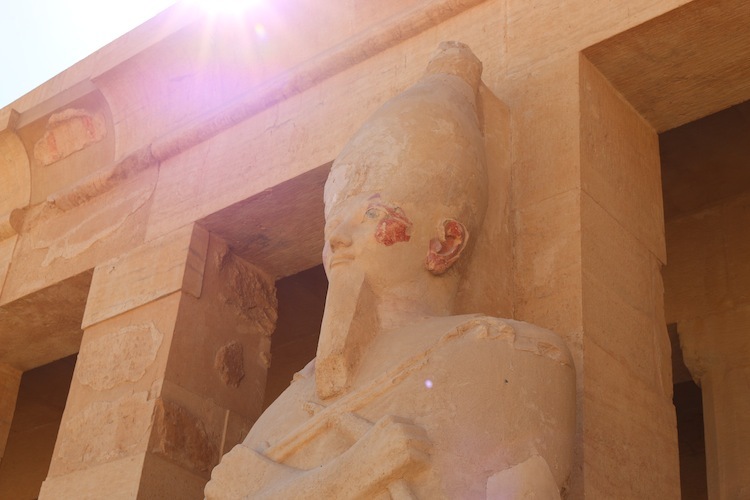 I also have an all-inclusive holiday survival guide and tips for travelling in Egypt coming soon. Oh my god that looks amazing. 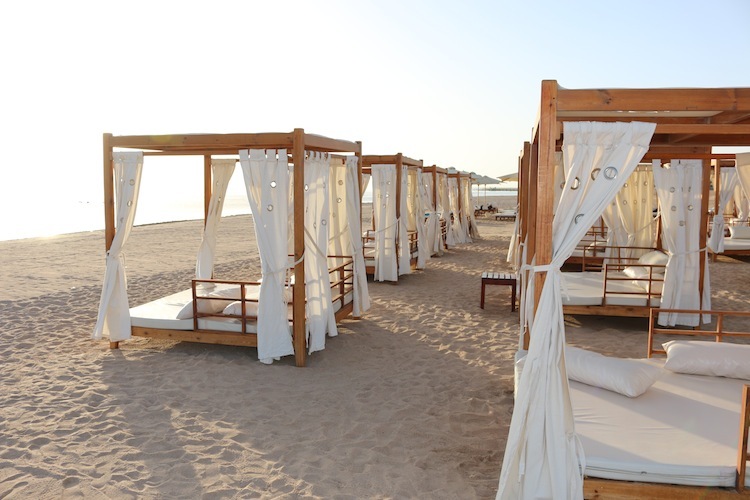 Especially those beds on the beach to relax on! I’ve never, ever done an all inclusive holiday – my family just don’t do them and I’ve never been tempted to try…until now! Can’t wait to see the other posts! The beach beds were incredible. It was quite breeze some days so the hammocks on the beach were the perfect place to relax and be swayed by the breeze. That hotel looks just luxurious – so filled with envy right now!! 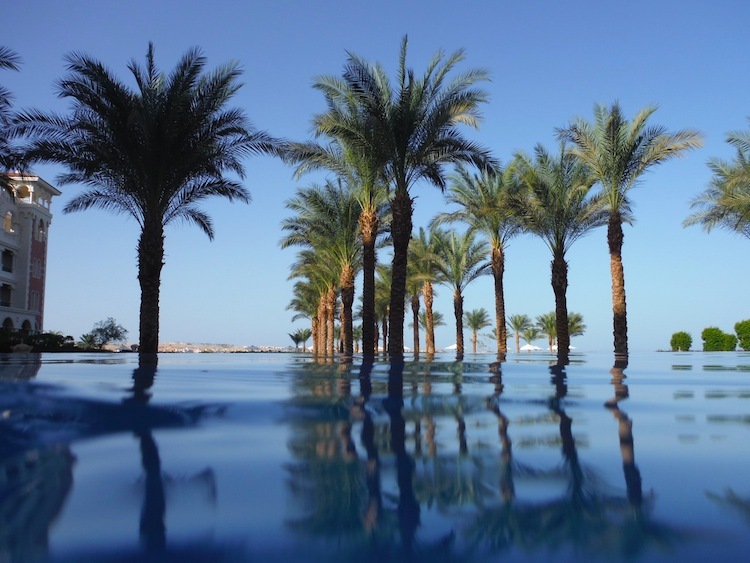 I went against my usual travel style and did a package trip to Egypt (near Hurghada) a few years ago but I have to say that I wouldn’t do it again! It was OK … but I just didn’t get to really experience Egypt they way I wanted to! I giggled at your must be getting old line because I think I’m with you there… these days standing still in a beautiful boutique resort where everything is delicious, good looking and pretty is becoming more and more appealing!